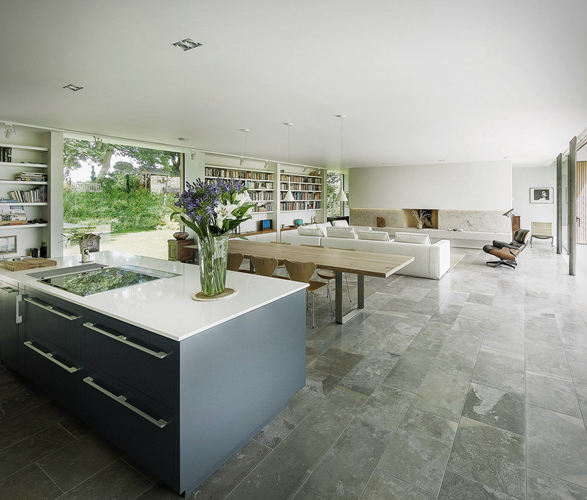 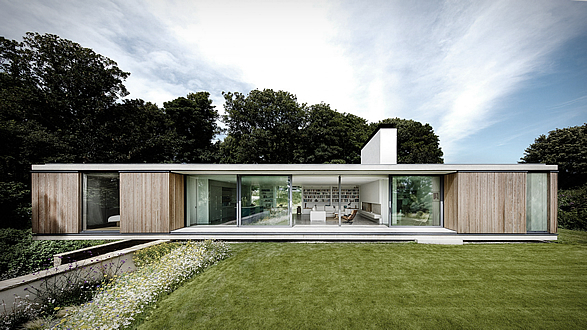 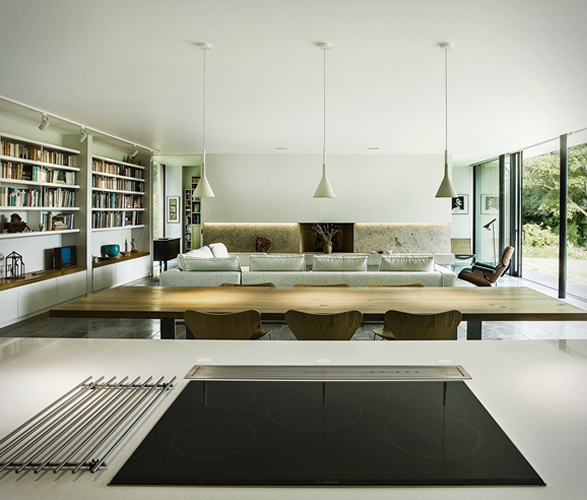 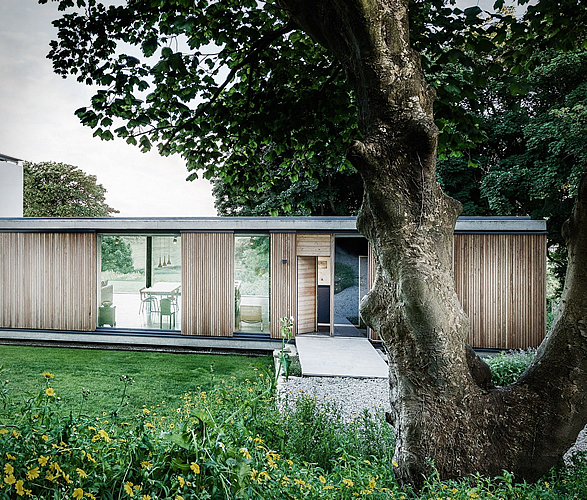 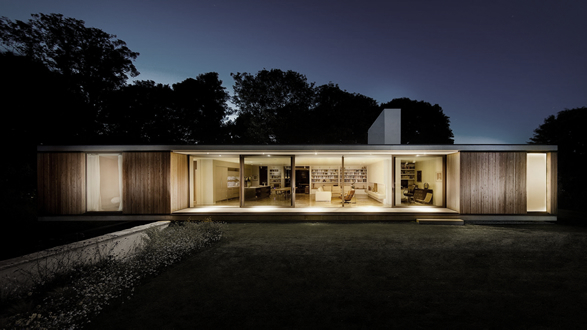 Located in the English countryside, the Quest House is a spectacular minimalist residence designed by Strom Architects. 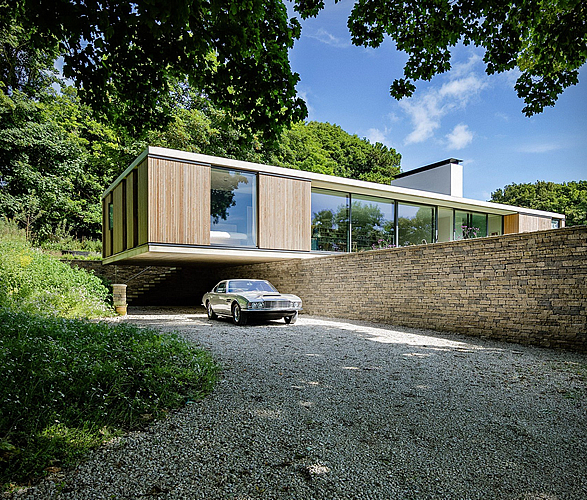 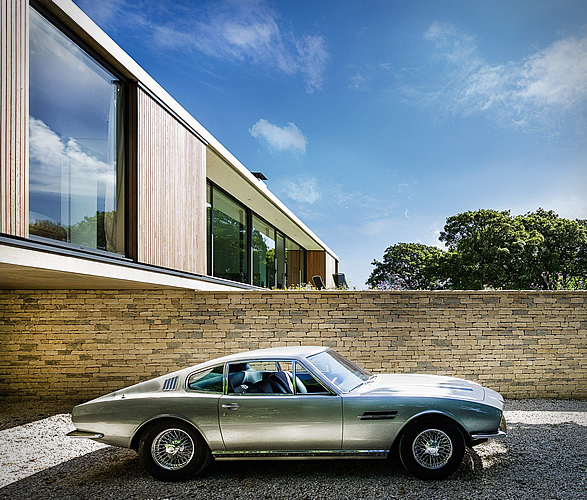 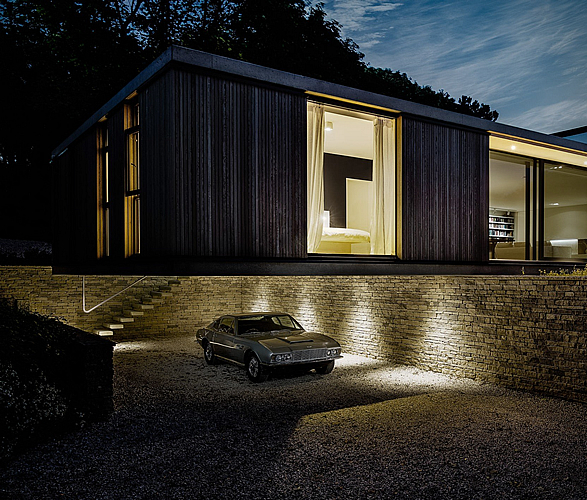 Built in a picturesque wooded site near the coastal town of Swanage in Dorset, the single-storey residence cantilevers over the retaining wall to protect a sunken parking spot for the owners´ vintage Aston Martin DBS 1968. 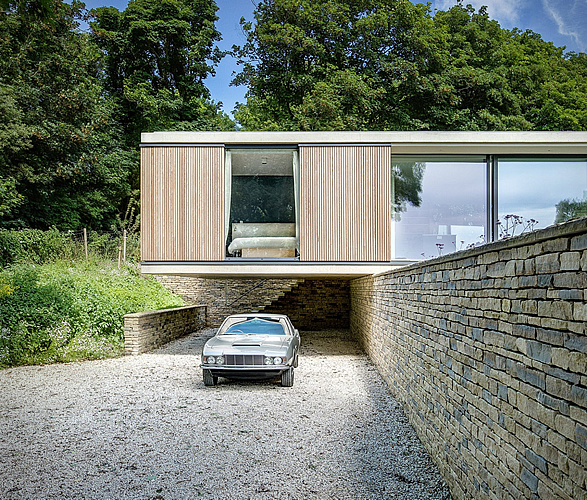 The concrete structure is beautifully in-filled with simple timber dry-lining, leaving the concrete frame visible externally. 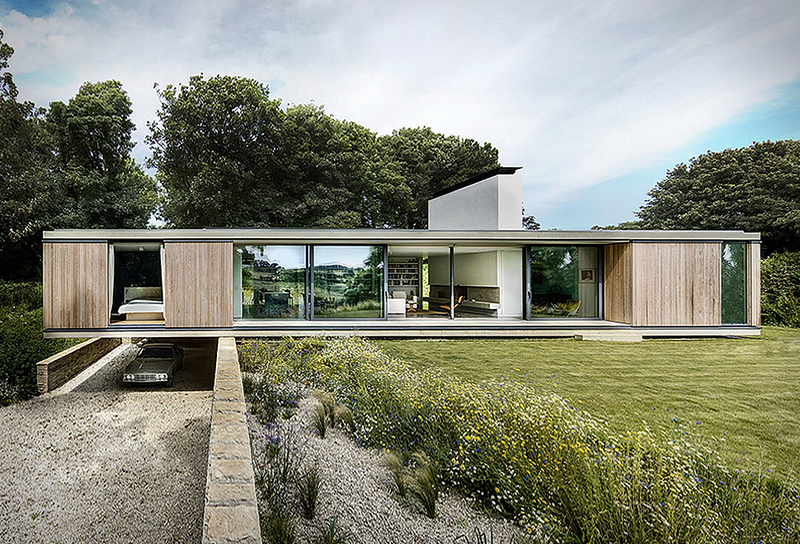 The engaging piece of architecture features an extremely open plan living style on the inside, and full-height glazing that frame the serene views from its elevated plot towards the surrounding woodland and the nearby Durlston Country Park.